Learn how to recognize the full potential of AWS with CloudCheckr—the cloud management platform for cost, security, and compliance in one unified solution. Join us at booth #1440 at AWS re:Invent in Las Vegas. We're bringing cloud management to Las Vegas. Let's connect with a one-on-one meeting. Enterprises need to focus on their core competencies, so it can be hard to track the status of multiple individual regulations—HIPAA, PCI DSS, DFARS, and more—yet that is precisely what’s required to ensure compliance. If there’s a failed audit, or worse a security incident, the penalties for non-compliance can be severe, running into millions of dollars. These fees are on top of the cost of a security breach. To guard against threats, organizations must continuously log, audit, and protect their environments. 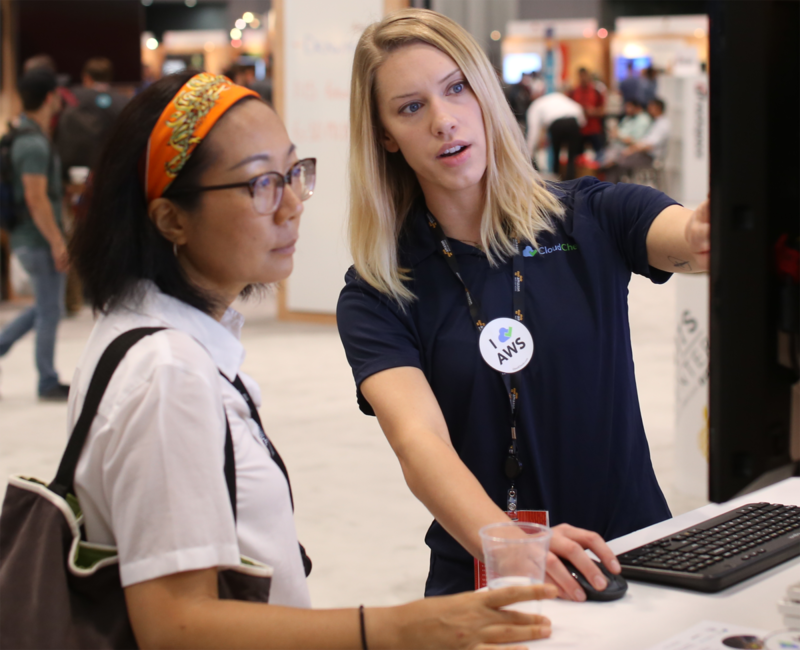 In this session, learn how to make your cloud infrastructure audit-ready for 35 regulatory standards using cloud management software. You may know him from Last Week in AWS, the sprinkled with snark newsletter covering updates from Amazon's cloud ecosystem. Or you may know him from Screaming in the Cloud, a podcast featuring conversations with cloud computing experts uncovering how businesses are coming to think about the cloud. But in his day job, Corey Quinn is a principal and cloud economist at The Quinn Advisory Group. He specializes in helping companies leverage cloud technologies while optimizing spend. Join the CenturyLink team in CloudCheckr Theater (Booth #1440 in The Expo at the Venetian) on Monday at 5:00 PM Pacific for a special presentation. Making large numbers smaller is a big part of what we do. But when you’re at the largest cloud computing tradeshow in the world, it’s go big or go home. That’s why we’re right-sizing the happy hour. Join CloudCheckr and Mission for their official Happy Hour and a Half party at AWS re:Invent 2018. Mission, a nationwide managed services and consulting company for cloud platforms including Amazon Web Services (AWS) and Microsoft Azure, recently announced a partnership with CloudCheckr—the leading independent cloud management platform—that will help drive deeper insights and increased automation for customers leveraging Mission’s managed Cloud Intelligence Platform. The partnership comes shortly after the Mission brand launched following the 2018 mergers of managed cloud service providers Reliam, Stratalux, and G2 Tech Group. Help us celebrate our new partnership and get the AWS re:Invent conference off to a great start on Monday night. Join us at Yardbird Southern Table & Bar at The Venetian Las Vegas beginning 7:30 PM for food, drinks, a signature cocktail, and great conversation. This event is free to attend but registration is required. First come, first serve availability. Be sure to stay to the end for a special door prize. Join the Veeam/N2WS team in CloudCheckr Theater (Booth #1440 in The Expo at the Venetian) on Tuesday at 10:00 AM Pacific for a special presentation. Dreamworks Animation, the motion picture studio behind films like Shrek and How to Train Your Dragon, wanted to focus on their core business of media & entertainment, not cloud infrastructure management. They decided to outsource a portion of their cloud IaaS management to an AWS managed service provider. Dreamworks partnered with Mission to get a detailed look at their cloud costs across multiple projects and AWS accounts using CloudCheckr. The result, Dreamworks gained brand new best practice implementation of their cloud environment and quick visibility into system data. See how Mission came up with a spend attribution process and how it accurately allocated costs in order to make data-driven decisions. Join the Mission team in CloudCheckr Theater (Booth #1440 in The Expo at the Venetian) on Tuesday at 12:30 PM Pacific to see this special presentation. More than 78% of IT executives acknowledge the lack of cloud expertise in their organization. But as today’s modern enterprise sprints towards cloud infrastructure as a service (Iaas) to increase their pace of innovation, the lack of cloud skills is limiting what can be accomplished. 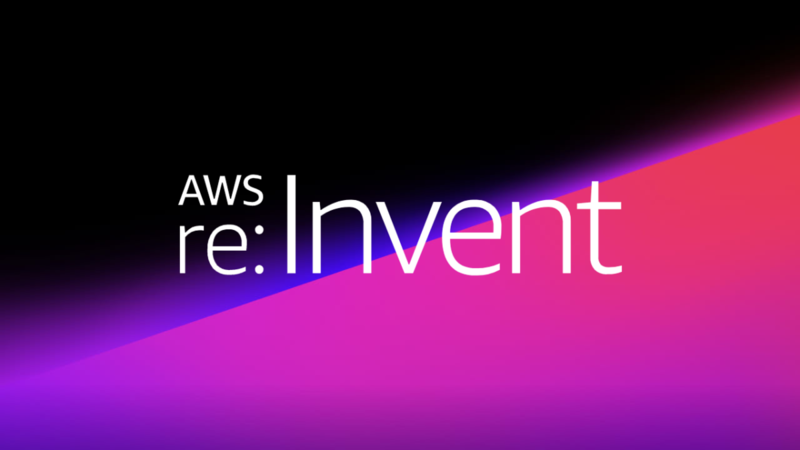 Climb out of the cloud skills gap at AWS re:Invent 2018. Learn how Cass Information Systems and CloudCheckr are joining forces to deliver a unique set of managed services that allow organizations to out-build, out-innovate, and out-adopt their competition. Join Josh Bouk, Vice President of Sales & Marketing, Expense Management Division at Cass Information Systems in CloudCheckr Theater (Booth #1440 in The Expo at the Venetian) on Tuesday at 2:30 PM Pacific for this special presentation. Plus, attendees get a chance to win a home automation bundle courtesy of Cass, at the end of the presentation. Automate your music, TV, lighting, security, and comfort with an Amazon Echo, Nest Thermostat, Fire TV 4k, security camera, Ring doorbell, Philips Hue lightbulbs, and more. How can you make building, maintaining, and certifying compliant environments fast and easy? Automate, automate, automate. Learn from the CEO and founder of Anitian, Andrew Plato, and AWS Senior Security Partner Strategist, Tim Sandage, about the latest developments from the Security Automation and Orchestration project that dramatically reduce the time, complexity, and cost of building compliant workloads in AWS. Explore the new processes in automation that can help save you time and money. Join AWS and Anitian in CloudCheckr Theater (Booth #1440 in The Expo at the Venetian) on Tuesday at 4:00 PM Pacific to learn about a fresh approach to Security Automation and Orchestration. Constellation Brands, a Fortune 500 company and leading supplier of beer, wine, and spirits had a growing problem. Faced with a primarily manual process for completing distributor orders, they knew they had to streamline the ordering process. Enter managed service provider EagleDream Technologies. Leveraging their application development, DevOps, and UI/UX expertise, EagleDream built a custom cloud-native web portal application running in AWS on containers. The front-end of the application was hosted on Amazon S3 and leveraged Amazon CloudFront for worldwide caching and the distribution of files, which enabled active communication with Constellation Brands’ global customer base. Deep dive into the architecture and implementation of this complex and innovative enterprise solution. Join the EagleDream team in CloudCheckr Theater (Booth #1440 in The Expo at the Venetian) on Wednesday at 10:30 AM Pacific to see their presentation on how it all came together. Cloudticity joins CloudCheckr Theater (Booth #1440 in The Expo at the Venetian) on Wednesday to present Cloudticity Oxygen. The nex-gen cloud managed services enable healthcare organizations’ cloud solutions with architecture and development, migration, and automation capabilities. Enterprises need to focus on their core competencies, so it can be hard to track the status of multiple individual regulations—HIPAA, PCI DSS, DFARS, and more—yet that is precisely what’s required to ensure compliance. If there’s a failed audit, or worse a security incident, the penalties for non-compliance can be severe, running into millions of dollars. These fees are on top of the cost of a security breach. To guard against threats, organizations must continuously log, audit, and protect their environments. In this session, learn how to make your cloud infrastructure audit-ready for 35 regulatory standards using Total Compliance, a new report now available in the CloudCheckr cloud management platform (CMP). Join Aaron Newman, founder & CEO of CloudCheckr in the Expo Hall Kumo Theater on Wednesday at 2:40 PM Pacific for this special presentation. Learn how Carahsoft can help you accelerate your AWS business through their robust partner offerings and nurture programs. Join the Carahsoft team in CloudCheckr Theater (Booth #1440 in The Expo at the Venetian) on Wednesday at 3:00 PM Pacific for a special presentation. You may know him from Last Week in AWS, the sprinkled with snark newsletter covering updates from Amazon’s cloud ecosystem. Or you may know him from Screaming in the Cloud, a podcast featuring conversations with cloud computing experts uncovering how businesses are coming to think about the cloud. But in his day job, Corey Quinn is a principal and cloud economist at The Quinn Advisory Group. He specializes in helping companies leverage cloud technologies while optimizing spend. Corey joins us in CloudCheckr Theater (Booth #1440 in The Expo at the Venetian) on Wednesday to offer witty and insightful re:Marks as he re:Caps all the announcements from the AWS re:Invent 2018 keynote. Join CloudCheckr and a select group of AWS security partners at the Public House pub inside the Venetian for the first-ever Compliance Automation Social, Wednesday night, 11/28, from 6-11pm. Enjoy free booze, food, and fun while talking shop with fellow cloud security leaders from the AWS Security Automation and Orchestration (SAO) project. Attendance is limited to AWS re:Invent attendees who are actively engaged in cloud security and compliance. You will be asked to present your show pass (or other evidence you are attending re:Invent) at the door. We’re proud to co-sponsor, with our longtime friend, JHC Technology, their 7th Annual re:Invent After Party at Treasure Island. JHC Technology is celebrating another phenomenal year with partners, clients, and friends. Please join the executives and teams from both JHC Technology and CloudCheckr to talk the latest and greatest in AWS. Finish the night off outside and poolside. Be sure to follow the signs inside the casino to the pool area and we’ll be waiting for you. We are looking forward to seeing you and we can’t wait to catch up! Join the Ensono team in CloudCheckr Theater (Booth #1440 in The Expo at the Venetian) on Thursday at 10:00 AM Pacific for a special presentation. JHC Technology, an AWS Premier Consulting Partner, specializes in Enterprise Cloud IT and Migrations, Security & Compliance, Agile/DevOps Orchestration, and Assessments, Planning, and Governance. The preferred cloud solution provider joins CloudCheckr Theater (Booth #1440 in The Expo hall at the Venetian) to offer a glimpse into their MSP processes to support automated and streamlined cloud architectures, meet security and compliance mandates, and provide an overview of our secure DevOps methodology. Join the JHC team on Thursday at Noon Pacific for the special presentation. Make the most of your AWS re:Invent 2018 experience! Learn how to plan the perfect schedule, book private meetings, and where to find the best giveaways. Can’t attend? Stay up to speed from afar!